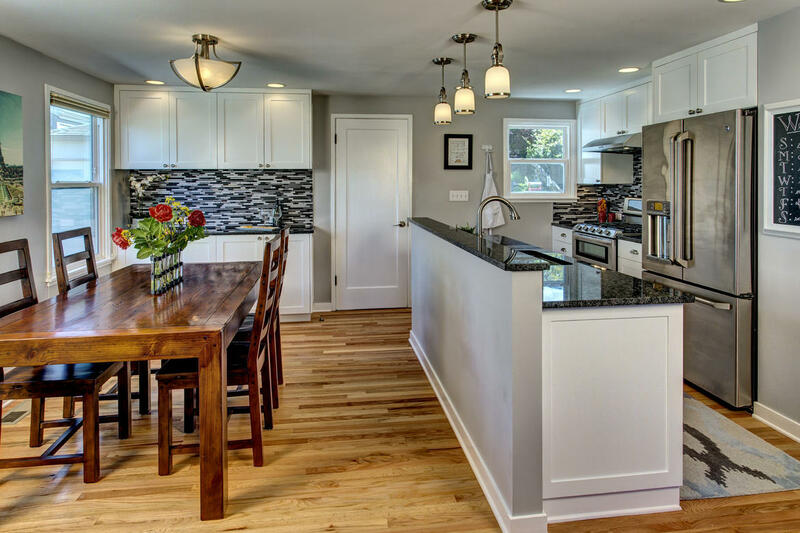 Are you thinking about remodeling your kitchen? If so, take this opportunity to imagine the possibilities. The kitchen continues to be one of the most popular places in the home to remodel, and the possibilities are endless. It's easy to unlock your dream kitchen, and you're only limited by your imagination (and maybe your budget). 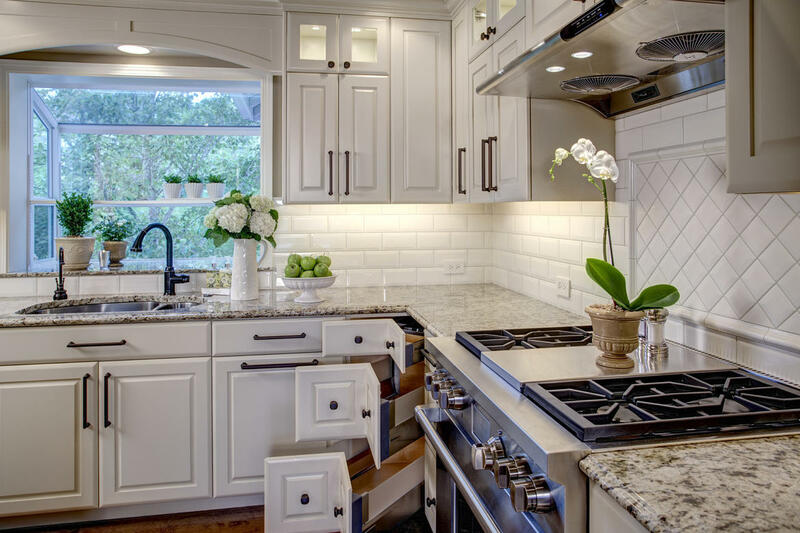 Whether it's function, style, storage, or a whim that has you itching for a remodel, these kitchen remodeling ideas are a great place to find inspiration. We are here to help you make your ideas a reality and to make suggestions you may not have considered. As we like to say, "it takes a village" to create your perfect space. 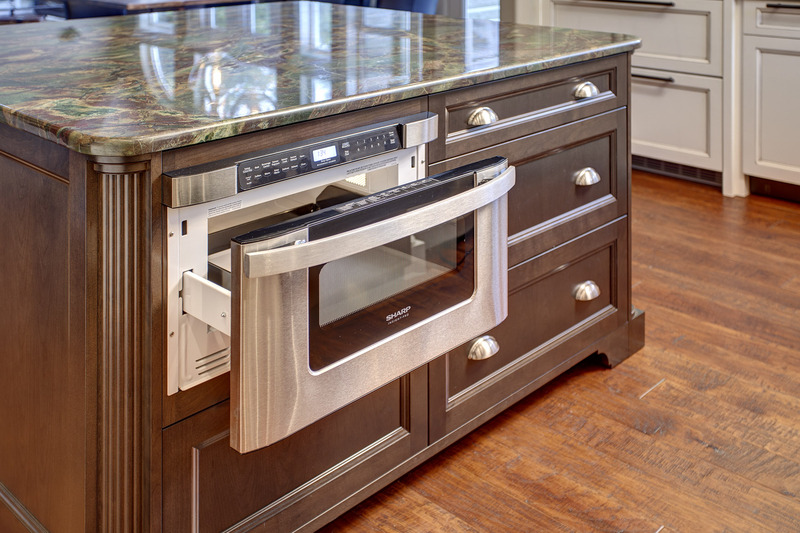 Unlocking your kitchen's potential starts with the right appliances for your kitchen. Not only are today's appliances more energy efficient and incorporate technology to make life easier, but new finishes can quite literally transform the look of your space. Stainless steel is a classic choice that matches almost any interior, or perhaps you can choose a refrigerator that matches your cabinet design. We're also seeing the emergence of brass fixtures and neutral colors that blend naturally, as well as custom appliances designed to fit any space. Can we ever have enough storage space in the kitchen? Cabinets are more than just a fun way to upgrade; they're an essential factor in a functional kitchen. Maximize your space with cabinets that meet your needs and your space. Consider cabinets built to the ceiling to maximize storage and create an open layout. 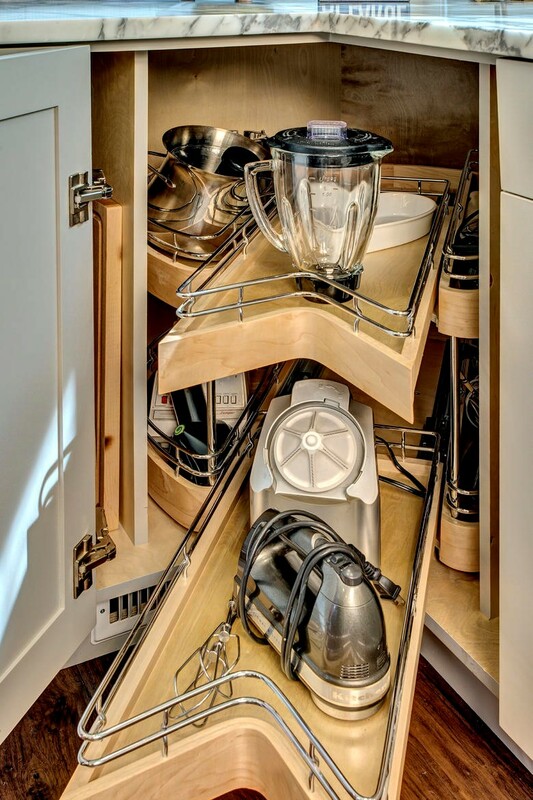 Small details like a spice rack drawer, a built in bar, waste-bin inserts, deep-base drawers, and customized spaces to store your favorite appliances make a big difference. We will brainstorm with you while considering your budget and make the best recommendations. Even a small change, like new hardware, can bring big transformation to your kitchen. It's a fast and affordable upgrade and you don't have to worry about matching every component. Trading stainless steel for bronze or using other aged metals can add appeal to your kitchen with minimal cost. The shapes and design choices are endless. There's no doubt that your kitchen flooring will face wear and tear, as it can be the busiest room in the house. There's no limit to the kind of surface you can have in the kitchen. Modern wood floors are durable and easy to clean. 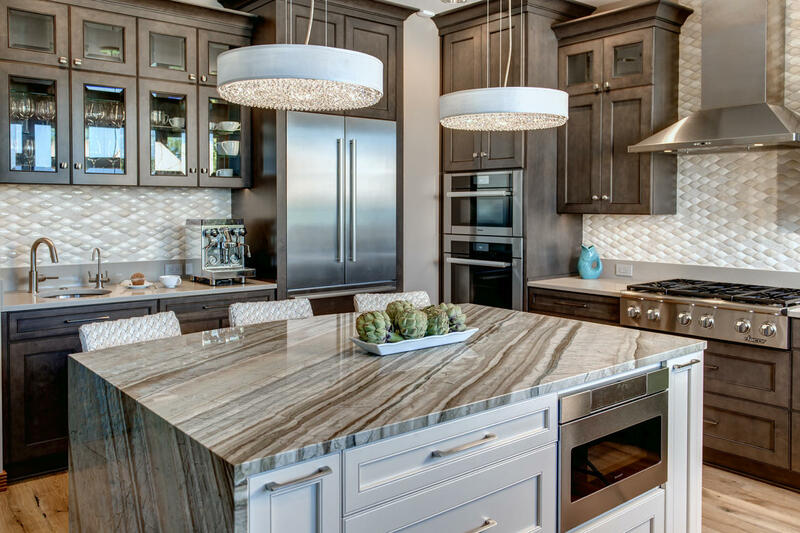 Natural stone or wood surfaces give your space a unique look. When you choose flooring, consider your lifestyle and cleaning options as well as how the floor will blend with the rest of your home. Whatever it is you want out of your dream kitchen, we are here to help you discover its potential. Your inspiration can come from anywhere. Dream big! Dreaming of a new kitchen? Let these ideas inspire you to dream big.